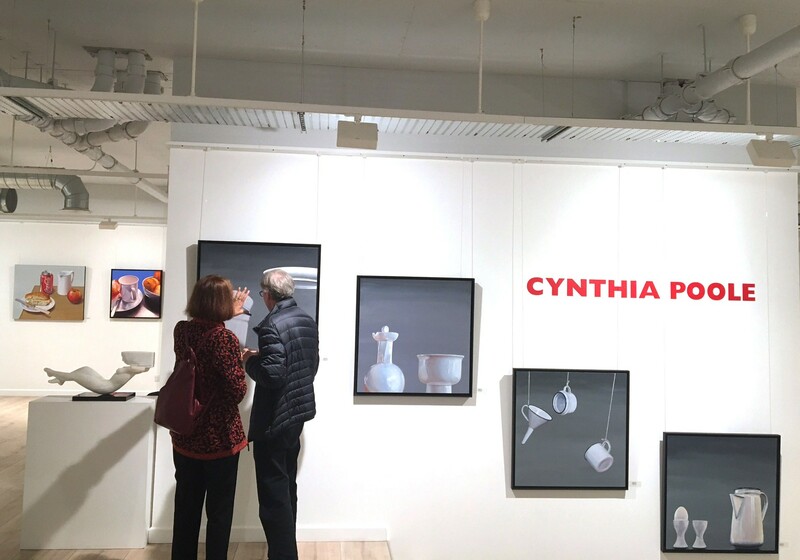 The opening unveiled 23 new paintings; Cynthia's latest projects include experimentations with gold leaf as well as compositions influenced by the works of Giorgio Morandi. Two new paths she began exploring in 2016. 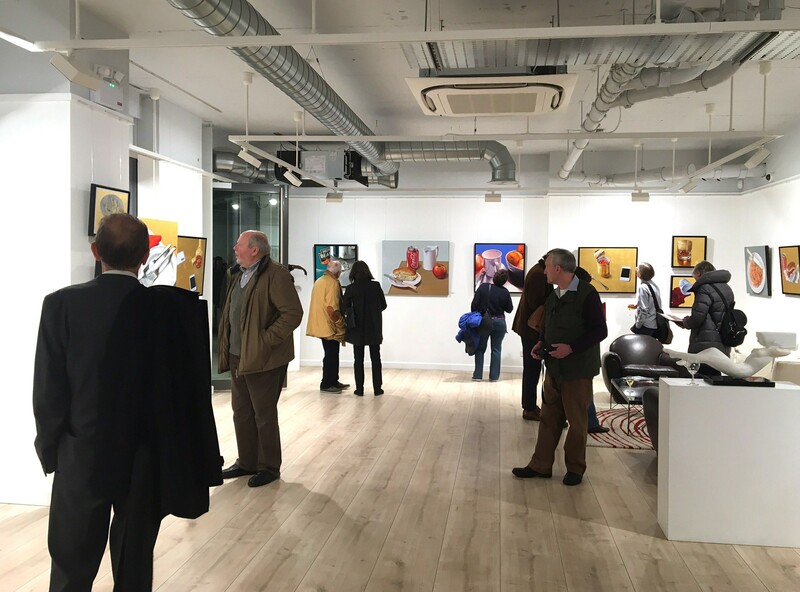 This exhibition brings together Poole's fascination with everyday, domestic objects and her new found interest in combining contemporary objects and medium with a more traditional material and an abstract twist. This juxatposition works incredibly well and the iridescent qualities of the gold leaf areas add clairty and dominance to these intricately detailed ordinary items. The gold leaf paintings hold a certain mystique that can only be appreciated in person. 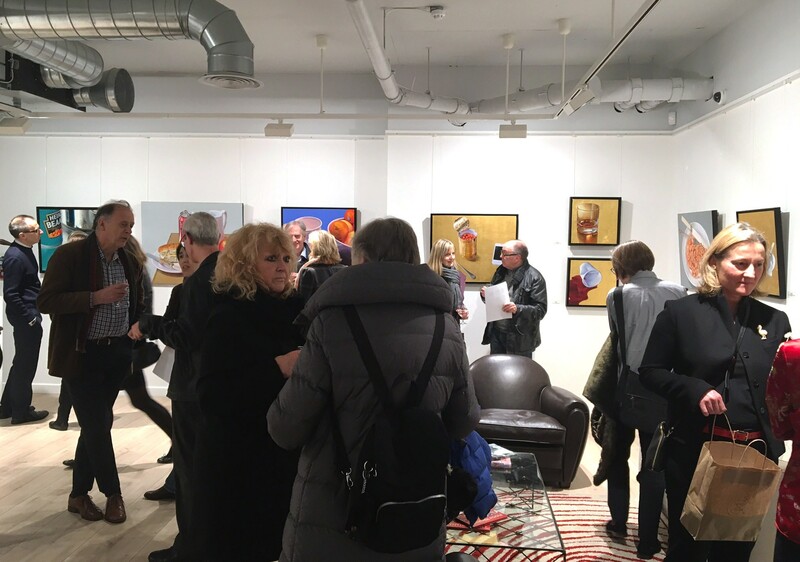 Poole's exhibition is now open to the public and runs until 15th April, 2017, we hope you have the chance to come and visit these spectacularly unique, Hyper-realistic, still life paintings.